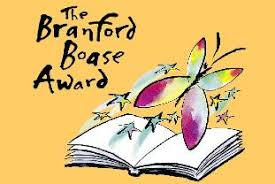 I’m absolutely thrilled that The Fox Girl and the White Gazelle has been longlisted for the Branford Boase award for debut novelists and their editors! 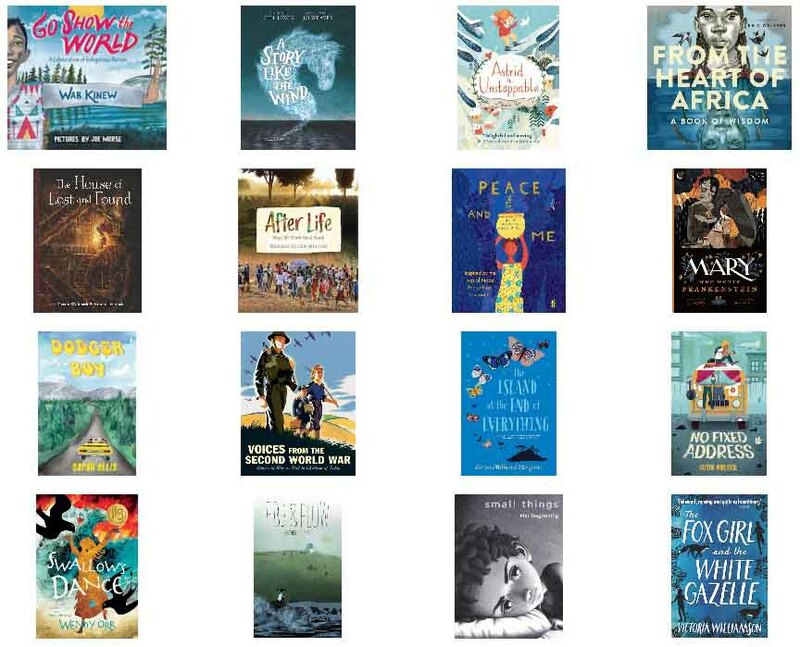 Very exciting news for January as The Fox Girl and the White Gazelle features in the 2019 USBBY (United States Board on Books for Young People) Outstanding International Books List! Books that provide a perspective or address a topic otherwise missing from children’s literature in the U.S.
Books that are accessible to American readers. 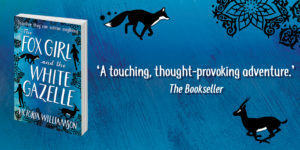 The Fox Girl and the White Gazelle has joined the VIP Reading scheme, which was created by Rob McCann and Lynne Newbrook with a view to inspiring and incentivising more reluctant readers. The scheme is a child-friendly and affordable reading programme, with resources illustrated by artist Andrew Baillie. His portraits of the authors involved in the scheme are available to purchase through the Spire Gallery. 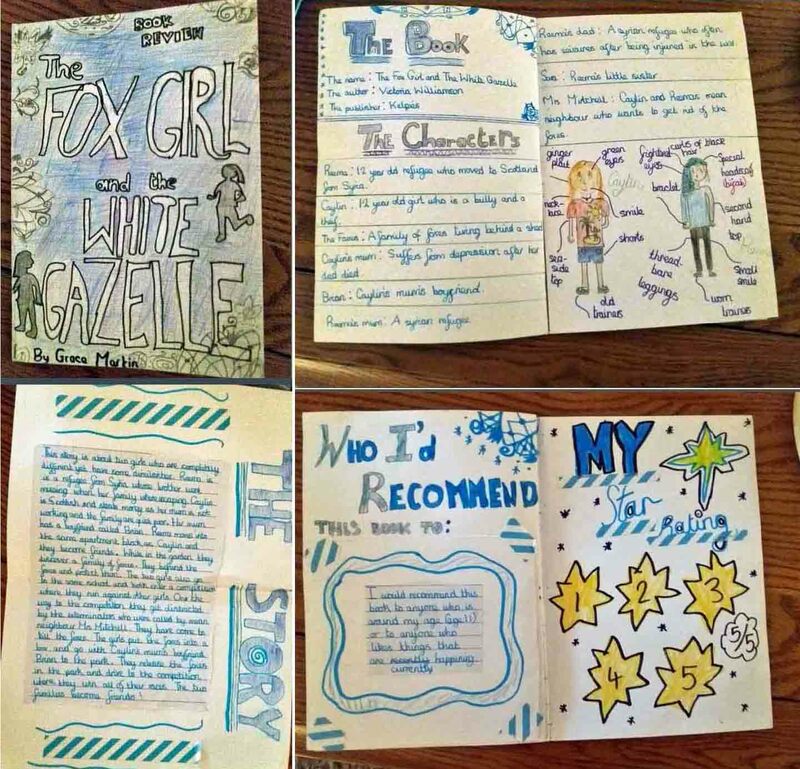 The Fox Girl and the White Gazelle has been receiving more great reviews and recommendations, including this brilliant handmade story booklet by Grace Martin! 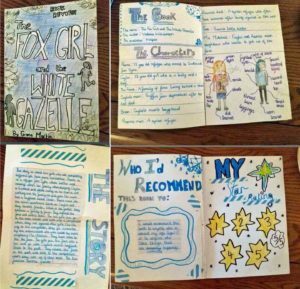 Thanks to Grace Martin for making this amazing review booklet! 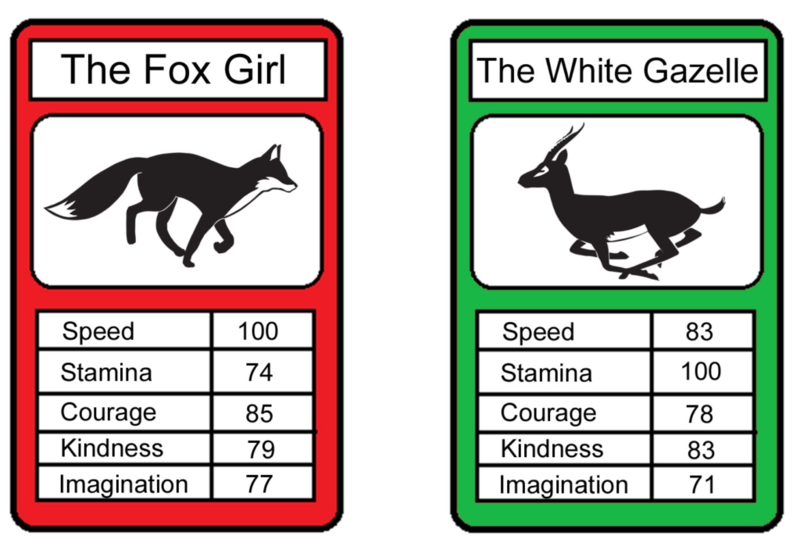 2019 got off to a fabulous start with The Fox Girl and the White Gazelle being selected for EmpathyLab UK’s Read For Empathy Guide, which will be used by schools and libraries to promote empathy through children’s literature in the run-up to World Empathy Day on June 11th 2019. The Primary Guide can be downloaded here. 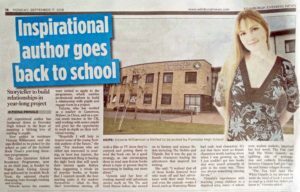 I’m very excited to be able to announce that I will be Brechin High School’s Patron of Reading for 2019! I’m very much looking forward to working with the students and teachers to help promote reading in the Angus-based school, building on the great work staff do there already through their lessons and their Library Learning Hub. 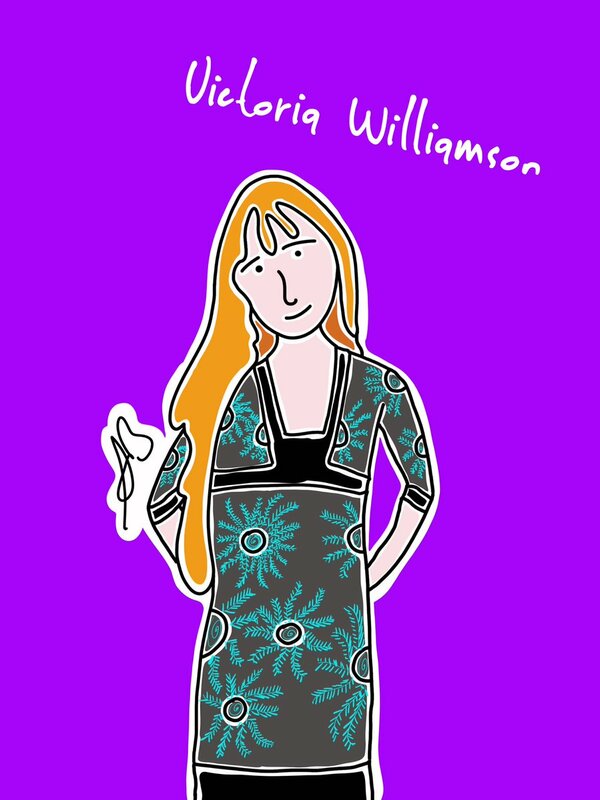 You can find out more about the Patron of Reading scheme here. 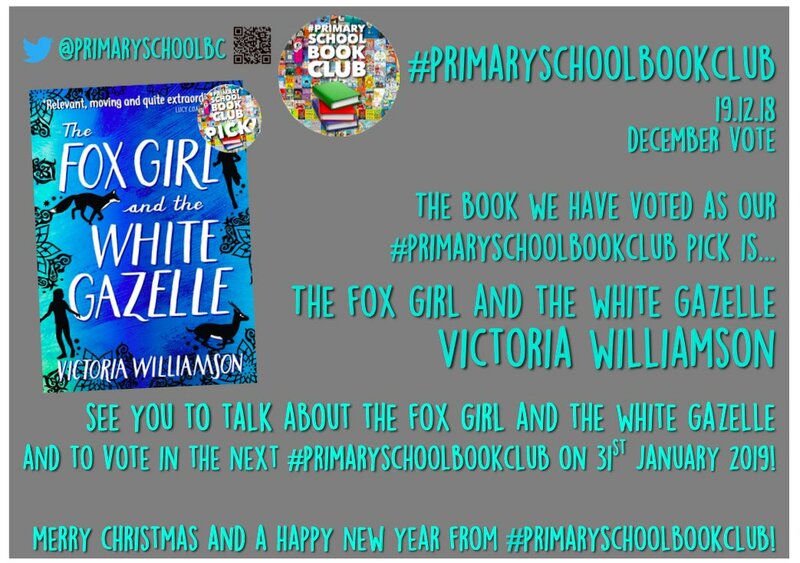 The big news for December 2018 is that The Fox Girl and the White Gazelle was voted as the #PrimarySchoolBookClub’s novel pick! Join me and @PrimarySchoolBC between 7pm and 8pm on 31st January 2019 for the book club Twitter chat. Bring your questions and ideas for classroom activities based on the novel. 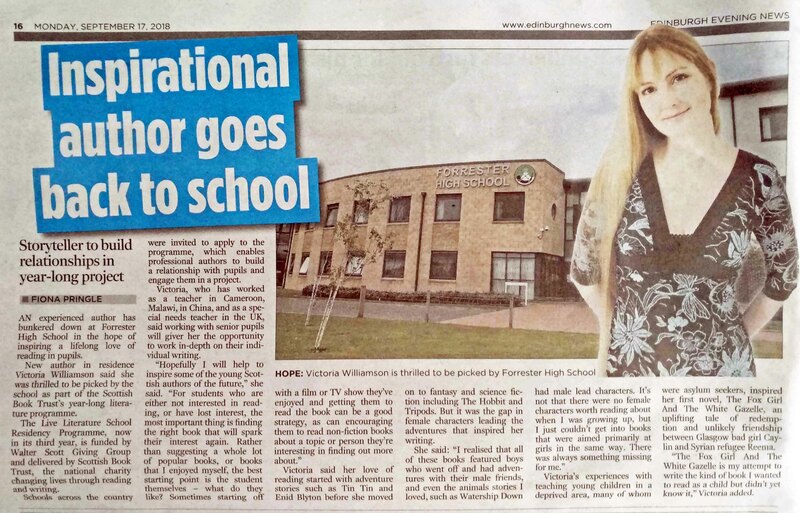 I was thrilled to be invited to be Author in Residence at Forrester High School in Edinburgh for the 2018/19 school year through the Scottish Book Trust Live Literature Residencies scheme. This collaborative project will involve working with the English department teachers and school librarian on a project to help enrich the creative writing of the fifth year students for their exam portfolio. All our news will be up on a new Author in Residence page coming soon! 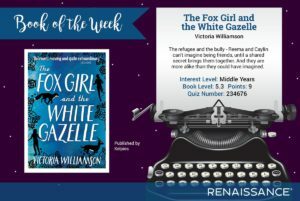 The Fox Girl and the White Gazelle is now on the Accelerated Reader programme, with a quiz available for participating schools! ‘By alternating the two girls’ first-person narrations (punctuating them with the fox’s voice in verse), Williamson allows readers to quickly relate to both white Glaswegian Caylin and Syrian-immigrant Reema, seeing in them reflections of the many problems children face around the world today. Her writing is culturally sensitive, incorporating various Arabic phrases and Islamic practices without Orientalizing them or sensationalizing the circumstances. 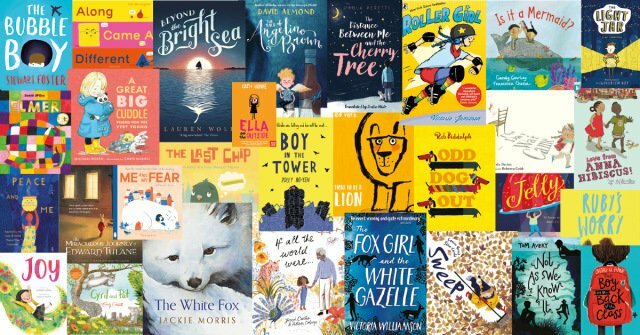 April was an exciting month, as not only was The Fox Girl and the White Gazelle published on the 19th, it also won the #BOOKOFTHEMONTH vote on The Reader Teacher Blog, and came a close second to The Infinite Lives of Maisie Day by Christopher Edge in the #Primary SchoolBookClub vote run by Scott Evans (@MrEPrimary) on the @PrimarySchoolBC Twitter account. 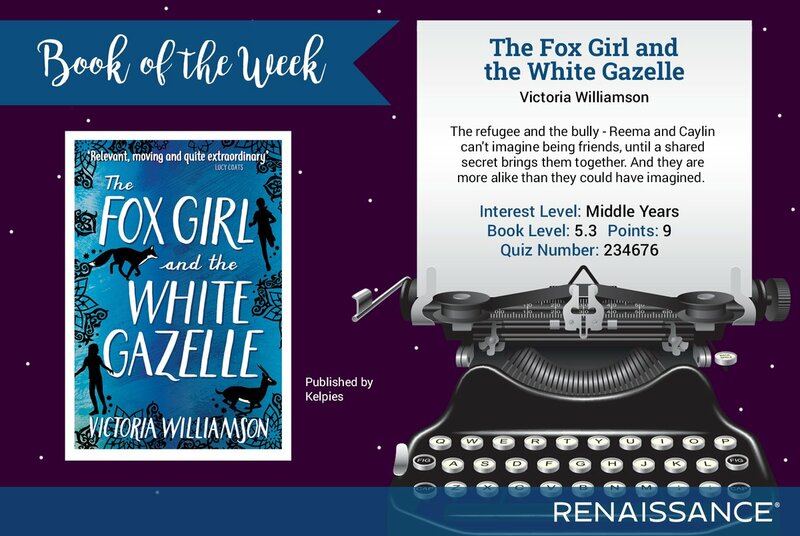 Thanks to everyone who voted and helped The Fox Girl and the White Gazelle do so well in its publication month! 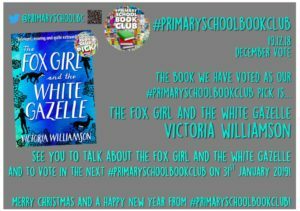 The Fox Girl and the White Gazelle received its first award nomination in March 2018 when it was shortlisted for the Teach Primary Book Awards run by The Teach Company, before it was even published! Judging criteria included ‘breadth of appeal’ and ‘learning opportunities’, and the shortlist features a wealth of books featuring diverse characters and important contemporary issues. 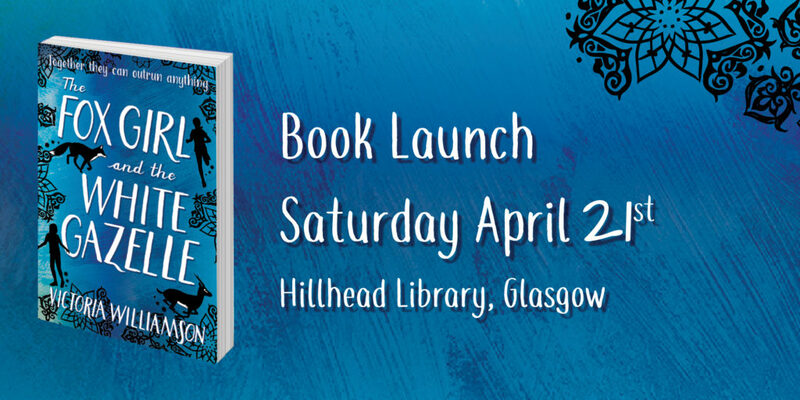 The Fox Girl and the White Gazelle book launch took place on the 21st April at Hillhead Library in Glasgow, in conjunction with the Scottish Refugee Council. It was a brilliant afternoon! Check out the Events page to see some of the photos taken. 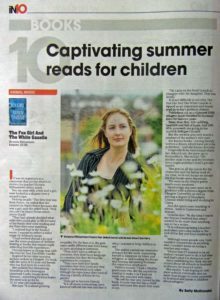 I gave a talk about my journey to becoming an author; the importance of diverse character voices in children’s literature; and the inspirations I drew on to create my debut novel. Lisa Seibold from the Scottish Refugee Council spoke about the work her organisation does with new refugees and family members of refugees reunited in Scotland to assist them in integrating in the country. She also gave us some ideas about what each of us can do to help this worthy cause. Guest speaker Alex gave a moving account of his own experience of being forced to flee Kenya as a child to seek refuge in the UK. Today, after graduating with a degree in Business Studies, he feels at home in Scotland and he now volunteers with the Scottish Refugee council to help others who have been forced from their homeland. Next up there was a delicious (and massive!) cherry cake representing the book cover, which was reduced to crumbs within minutes! We celebrated Scottish and Syrian culture with a wide range of traditional food and drink. Everyone was welcome and while we enjoyed the food we were treated to an unusual mixture of Syrian and Scottish music! I had lots of fun meeting guests and signing books, and finally the raffle was drawn and many fabulous prizes were won, all of them donated by local businesses and brands in aid of the Scottish Refugee Council. What a fabulous day! A huge Thank you to everyone who came along and gave their support! Lucy Coats, acclaimed author of Cleo, Cleo 2: Chosen, and the Beasts of Olympus series, among others. “A well-crafted, inspiring debut and a wonderful read. The diverse cast of characters is sensitively drawn and felt so real I found myself suffering with them through all their bad decisions and cheering alongside them at each of their triumphs. Caylin and Reema’s story demonstrates the basic human truth that we are all more alike than we are different, and their interactions with each other, and with the world around them, offer an interesting exploration of what it really means to belong in today’s society. 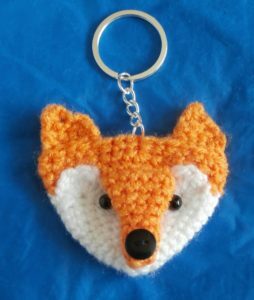 And, if that’s not enough, readers are treated to the occasional glimpse through the eyes of an urban fox. What’s not to love? 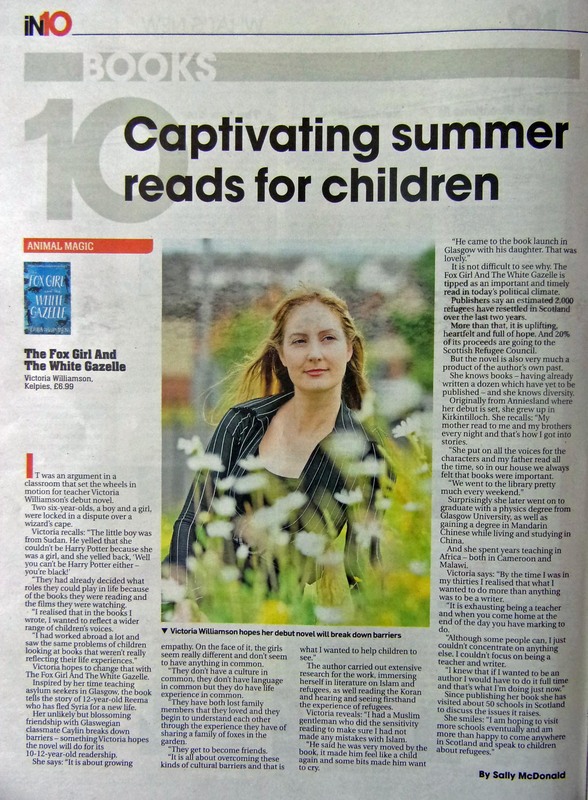 Rachel Hamilton, author of Louie Lets Loose and Louie in a Spin, among others.